Horse & Cowboy Oval – 7055 Inc. If you love cowboys, horses, or the Wild West, this Horse and Cowboy Oval is the perfect home décor for you! Your cowboy or horse themed space will be complete with this Horse and Cowboy Oval! This cowboy décor is available in two different colors that you can mix and match to create a unique wall space for your cowboy items. 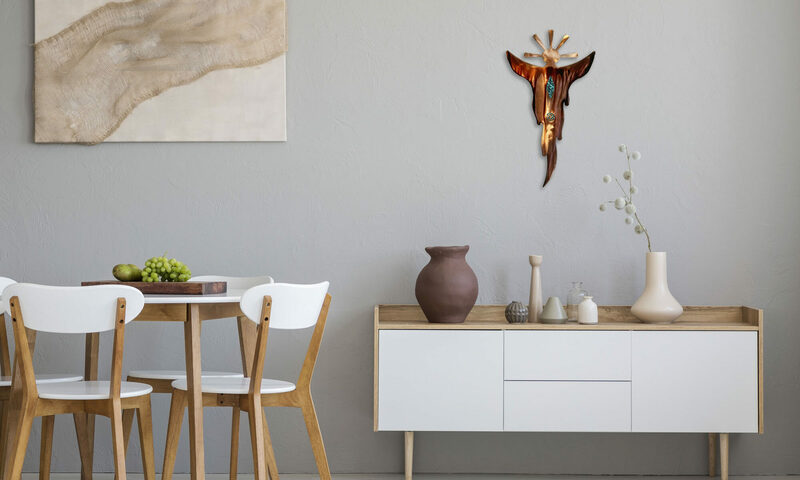 This Horse and Cowboy Oval can be used as an accent piece to emphasize a larger centerpiece art or you can simply combine several of this cowboy décor to create a cowboy wall! Add this Horse and Cowboy Oval to your cart!